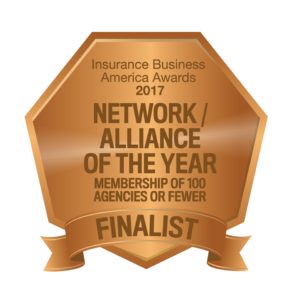 Agency Network Exchange, ANE has been selected as a Finalist for Network/Alliance of the Year – Membership 100 Agencies or Fewer in the inaugural Insurance Business Awards America. Insurance Business America is the leading insurance-focused magazine with more than 500,000 monthly visitors across the globe. IBA readers voted in their thousands to select finalists in 23 categories, including stand-out services, employee focus and corporate social responsibility. Winners will be selected by a panel of industry experts and announced on November 29, 2017 during a stellar black-tie awards ceremony at Chicago’s Navy Pier hosted by TV superstar Alfonso Ribeiro. The inaugural Insurance Business Awards America is one of a series of international insurance events. The first US event will be held in Chicago and will bring together industry leaders to celebrate excellence in the Insurance industry and is designed to recognize individuals, teams and companies for their outstanding achievements and contributions to the field. For the full list of finalists and information about the event, visit Insurance Business Awards America.